Is your organization on NetSuite? Then you should take advantage of applications that can further extend NetSuite’s capabilities. 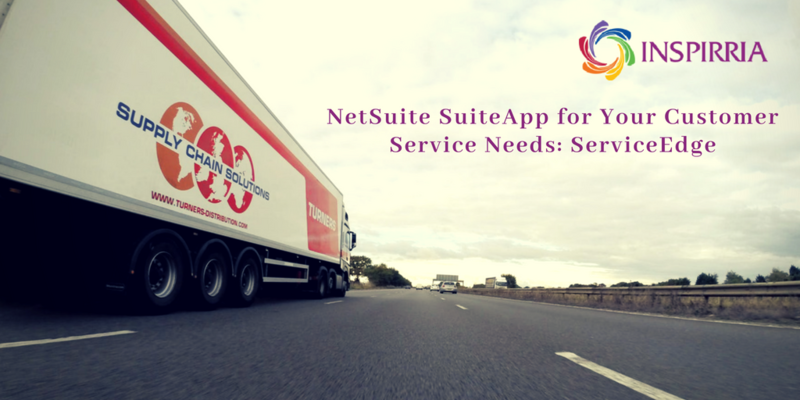 NetSuite has an app-store called Suiteapp.com and Suiteapps are a host of applications developed by third-party vendors who belong to NetSuite’s SuiteCloud Developer Network. All the apps are tested and certified by NetSuite. By the BFN (Built for NetSuite) badge which represents the category of solution. There are three badge types; Native type indicates that the entire solution resides on the SuiteCloud platform, an Integrated type suggests that majority of the solution resides externally to the NetSuite platform and the Hybrid type is a mix of platform resident components and external components. Inspirria, a leading NetSuite implementation partner brings to the market a native type solution that solves all the needs in Service Operations - ServiceEdge. This market-leading solution helps services companies by offering 360 degree controls and visibility into service and maintenance operations. ServiceEdge is able to seamlessly integrate with existing NetSuite ERP masters such as Customer, Item Master and Employee. This allows support representatives, for instance, to be able to access equipment and case data from anywhere and at anytime. ServiceEdge also offers a great advantage by automating the processes of customer card, contract and case creation; access to contract scope, terms, coverage, inclusions and contract-wise and equipment-wise profitability analyses. which means ServiceEdge can accomplish end-to-end lifecycle tracking starting with purchase order, receipt, billing and invoice to delivery, warranty and annual maintenance visits and reselling. A purchase process flow is comprehensive, capturing all data in detail (warranty plan type, initiation status, item and purchase data, scope/terms and approvals) and ending with auto creation of the MIF where the vendor bill number gets linked. With regards to the sales process, it is as exhaustive and pans the entire workflow with sales order through to customer invoice generation and auto case creation. The scenarios of support and rental processes further prove that ServiceEdge can be a great enabler in service operations. Areas like assignment of a representative, machine movement and reporting are taken care of, with such ease. The rental process component is able to track fulfilment, auto-renewal and inventory transfers. And that’s not all, schedule a demo with us to understand how ServiceEdge can intervene in many other lifecycle steps like up-selling, contract termination and return management. As you can see, the feature list is endless and a key reason why ServiceEdge and Inspirria Cloudtech have received industrial recognition like the CRN excellence award and the NetSuite 4-star award.